You're going to remove my what? By the time most male kittens reach the age of 2 months, both of the testicles have descended into the scrotum. Sometimes, one or both testicles never drop—these are undescended testicles. This makes neuter surgery a little more complicated, but it's not more difficult than a female spay. Cryptorchidism is the medical term for an undescended testicle. If the cat's testicle hasn't descended by the age of 9 months, it's unlikely to happen. There's no effective medication or procedure to make that ball drop. If the cat has one descended testicle, he can still breed. If both stay within his abdomen, he's sterile, but that doesn't mean he won't want to breed. Despite his cryptorchidism, he's likely to display all the charming behavior of the typical tomcat, such as spraying, fighting and yowling. There's a risk that an undescended testicle may become cancerous. Your vet makes the diagnosis by feeling the scrotum for the presence of testicles, and by doing a blood test to measure the cat's testosterone levels. If he has one descended testicle, it will be removed by conventional neutering, but the undescended one still requires additional surgery. Don't be too concerned about your little boy. Even though surgery for a cryptorchid cat isn't as simple as basic neutering, most cats come through it with flying colors. How the surgery is done depends on where that undescended testicle is located. If it's in the groin, your vet simply opens the skin and removes it, resulting in a small incision. If it's in the abdomen, abdominal surgery is necessary. Fortunately, the majority of undescended testicles do get as far as the groin, even though they don't make it all the way. If your cat's had abdominal surgery, it's going to take him longer to recover than if he'd had a normal neutering. He'll probably come home from the vet the same day as the surgery. It takes a couple of weeks before Kitty is back in the swing of things. Your vet may recommend that he wear an Elizabethan collar, which may seem like adding insult to injury, but is really for his own good. The collar prevents him from licking or biting at the stitches. Do not laugh at your cat when he's wearing this collar, and refrain from taking photos—at least, any that Kitty will ever see. 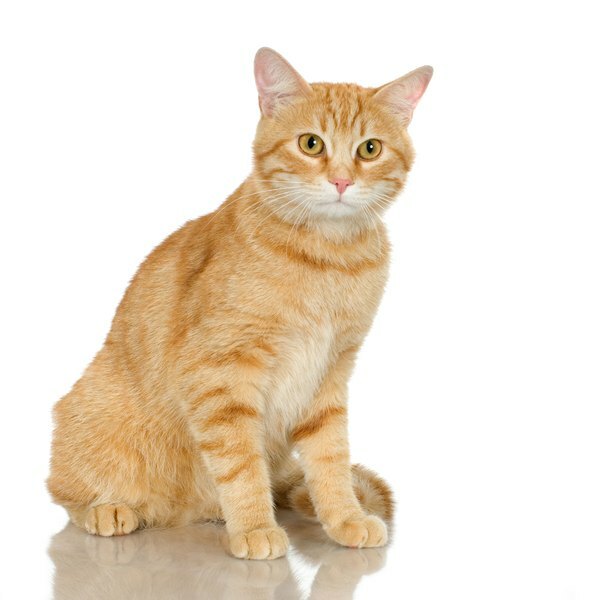 Hillsboro Veterinary Clinic: What Is Cryptorchidism in a Cat?